Elite Motors OC meets the needs of each customer with the utmost respect and care. We realize you have high expectations from us and the BMW, MINI and Fisker brand. As a family owned BMW/MINI repair center, we will put our many years of experience at work and strive to exceed those benchmarks at every turn, everyday. Allow us to show you our commitment to excellence. Our knowledgeable staff, with over 10 years experience in the automotive industry, is eager to share their expertise and enthusiasm. You can book a service appointment or order BMW Original Parts and Accessories using our online forms or by calling. We are pleased to provide service in the following languages: English and Romanian. 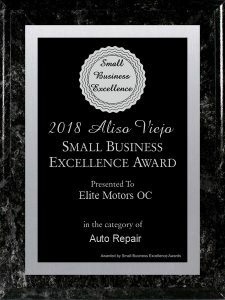 At Elite Motors OC we make sure you will have the best experience ever and your vehicle will be repaired correctly the first time at the lowest prices possible. At Elite Motors OC we endeavor to give you a very personal experience equal to a dealer, by always having a one-on-one discussion and listening very closely to your concerns. For us you are not just a number; you are a valued client, with whom we would like to build a long term relationship. We assure you that we will do our best to make you and your vehicle happy, every time you walk through our door. Besides regular maintenance and repair, Elite BMW can tune your vehicle to give it better performance, handling and styling. Although, we specialize in BMW, MINI Cooper and Fisker, we work on any other brand on the market as: Ferrari, Maserati, Lamborghini, Land Rover, Range Rover, Audi, Aston Martin, Bentley, Rolls Royce.